…Now I’ve got that tingling feeling FPS games give me it’s time to get this list of my all time favorite FPS games, from the highest rated, to the person best, this list has everything you’ll need. This game has it all, it has everything an FPS lover needs and more and in my mind Destiny will go down in history as one of my all-time favorites, and with the release of number 2 I just cannot control my excitement. Destiny is a halo style shooter, but with elements from loads of games, it isn’t an open world, but you have freedom which is really nice. The game can get a little bit repetitive, but I got past that real quick and let’s face it most games get repetitive when you put 20 hours in. Want Destiny at the best price I could find get it here for PS4 and you can get it here at the BEST price for XBOX. If you like destiny I have a list of games just like it. I’ve mentioned this game on numerous occasions and I can’t deny it, this game rules. It takes things I always dreamed of and makes them come to life and what’s best is that all the elements work and have a massive online community to back it up. 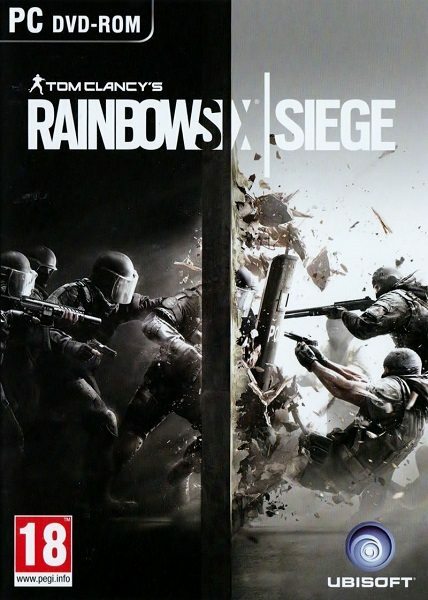 The majority of this game mode is attack vs defense, one time defends and has to secure a hostage or bomb, you defense with barbwire, claymores, door traps, wall protector things, etc. The other team then has to attack and they have to destroy walls, doors, use drones to see where everyone is, the attacker’s job is to either kill everyone or successfully do the task. If this kind of gameplay appeals to you then this game will blow your mind. There’s been more than a few disappointing game releases in 2016, games with awesome trailers that turned out to be really bad, Battlefield 1 is not one of them. This is an FPS shooter that lived up to the unreal hype and in honesty shocked me, there’s been no FPS like it before, nothing that involves horses, guns, tanks, planes, explosions and so much more. You also get a really amazing storyline and a multiplayer that will be around for years, I really mean what more could you want? We’ve also done a list of amazing games just like Battlefield 1. …But surely that isn’t enough? Okay, there’s a BIGGER reason it’s on this list and that’s because they’re remastering Modern Warfare :O :O :O YES! It has a release date of early 2017 and I’m sure it’s going to be a game changer. Squad is an FPS game that not everyone has heard of, it’s really built around massive online games with 50 vs 50 shoot offs. It’s kind of like battlefield vs call of duty vs counter strike, it takes skill but has a lot of elements that I and tons of people love. Squad still has an amazing community around it and is definitely worth your time if you’re looking for an FPS gaming. Do I need to explain it? Probably the biggest FPS of all time right now, with one of the largest communities I’ve seen inside of a FPS shooter (excluding old school COD days). …An awesome First Person Shooter! If you’re a counter strike fangirl/boy then you’ll go crazy for this list of games like CS: GO. Insurgency is what happens when you get rid of all the trash talking kids and let the adults play. It’s a quite serious, some would say hard FPS game that takes tactics and practice to become good at. I’ve not spent too much time in this game but just check the reviews out for yourself and see why people are going crazy for it. Warface 2016 is one of my favorite FREE FPS games. I mean it does get much better, it’s a clean mix of Call of Duty with Crysis and it easily competes with FPS games worth $60. As I said wareface is completely FREE so go and check out the trailer and if you like what you see there should be nothing holding you back. Dirty Bombs is something different it’s a game that I wasn’t going to add but I decided that it has such a big community and doesn’t cost a penny it would be a shame not to let you people see it. Dirty Bombs is a completely different style to the other games and for that, it’s definitely one you should give a try. The graphics are different, the game modes are too, something that makes a little change. Move over and let the big boys/girls play! No joke Verdun is a serious world war one shoot-em-up, I mean this game really isn’t playing. If you want an FPS that does take a lot of skill, based in WW1, Verdun is going to always be your game of choice, and you can pick it up for $5. Like aliens? Like crazy explosions? Like guts? If you say “Yes” then I must say you’ll fall in love with the new DOOM, as it has all that plus so much more. Now the new doom is nothing like old school doom but I think everyone loves that, and for me it’s one of the only game upgrades from the past, something we didn’t see with Duke Nukem :(. Mix FPS and Aliens and this is about as good as it gets. I know what your thinking… I love gory, alien shooter games and I want more! Well, I have more on this list of the goriest games like Doom. I can’t express how awesome Overwatch is and I know by now lots are sick of hearing people talk about it, but why is it so good? I think it’s because it has the elements that make games super addictive, but they’ve really mixed it up and created a game that’s unlike no other, the only game I can think that’s even a little similar is Team Fortress and look at the community that’s built. Overwatch has to be my all-time favorite FPS game, it has everything and has me over 300 hours deep into this overwatch world. So, I decided to make a list of games that are just like overwatch, trust me you need to check it out. I’ll end on a medium note and that’s kinda what you get with Battlefield StarWars, it had so much going for it but they just didn’t add enough to the game to make it worth the high price tag… But that being said Battlefield isn’t a bad game and if you get it on discount it’s totally worth it, just go into it with a normal game mind and don’t overhype it up, and if you want it at click the link above as I’ve found the best price.